I was greeted with great enthusiasm after work due to a line of storms that went through this afternoon. They're all past us now so we should get a good night's sleep. The animals did fine on their own all day. Jethro's new one was hungry when I got home. And she'd peed and pooped in the litter box, bless her little heart. The adjustment process is going well. Jethro is so unusual. At work we were telling each other about our weekends, and when I said the Jethro had collected another kitten everybody assumed that he'd killed it, not adopted it. I can't imagine Jethro killing anything. He loves cats and they love him. The little one slept the first part of last night cuddled up with him. Then she came and curled up under my chin for the rest of the night. We do choose unusual dogs, don't we? Naomi, bless her, got by on her beauty and not her brains. She happily moved all over with us, and lived over sixteen years. Caleb was the sweetest dog I've ever seen, and so calm and gentle. He went cheerfully through all that chemotherapy - he'd lie down and stretch his leg out for June to put the IV in, and he was always so excited to go to the vet. And here's Jethro, the Great Collector and Protector of Kittens. I loved watching you with our dogs. You loved them so much, and they loved you. Jethro still grieves for you. 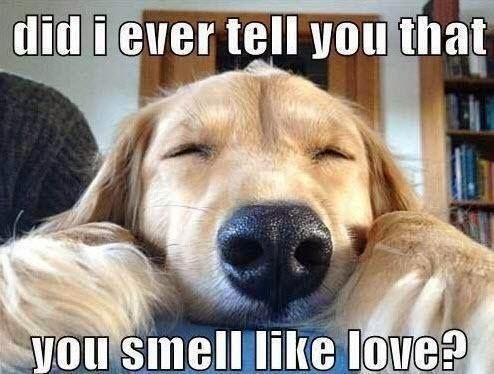 I can tell by the way he sniffs your shoes that your scent isn't as strong as it used to be, even for his nose. He used to sniff, wag his tail, and smile at me. Now he sniffs, then turns to look at me with big sad eyes. But he still sniffs, and knows who he's smelling. And he still doesn't like it when I wear your lounging pajamas. Your little family is carrying on but we miss you. We'd be happy to make room for you in the bed! I am Woman - Watch me Sleep! Please Show up on My Phone!